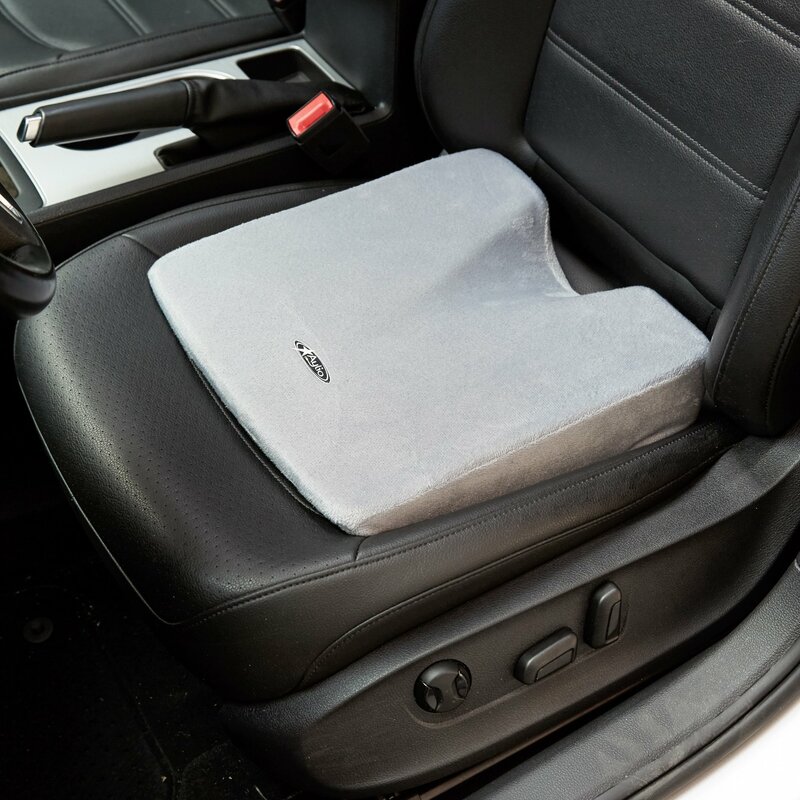 5 Best Car Seat Cushions for Long Drives Right Now | Homesthetics - Inspiring ideas for your home. If you’re someone who drives long distances to to and from work regularly, or driving is your occupation – you realize the importance of the right cushioning for your seats. The absence of a cushion is not only uncomfortable, it is incredibly detrimental for your health too! A Men’s Health article dated 2015 explained exactly how the damage to your back can take place if your drive uncomfortably and with a wrong posture for large periods of time. Truck drivers, delivery personnel and travelling salespeople are just some of those affected immensely by the lack of a seat cushion. For those who see lots of traffic on their route, the problem is even worse. 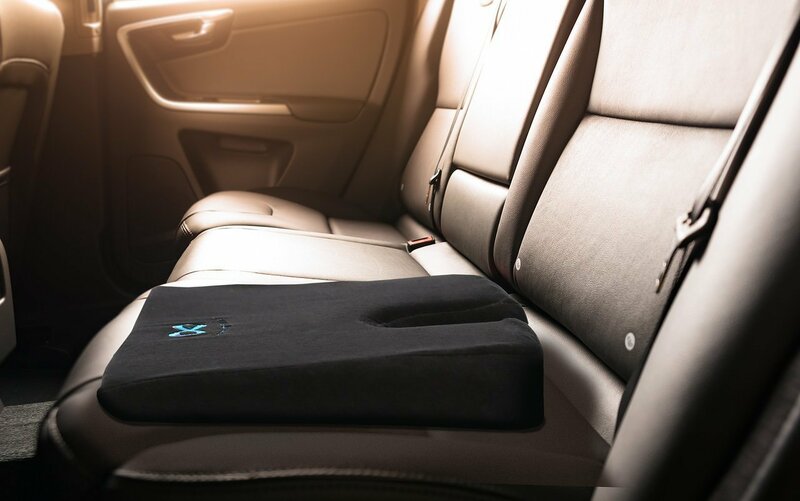 Today, we present to you five of the most popular and highly rated seat cushions which are sure to make your travelling experience a more comfortable and healthier one. These car seat cushions give you the extra lumbar support that is so desperately needed in car seats – unfortunately not all vehicles come with them as standard. Let’s start with the first review! First up on this list is the gel-filled Lovehome Cool seat cushion. This cushion is best suited for those who live in hotter regions, especially those regions which are hot and humid. The gel based material in the cushion allows for the temperatures to stay comfortably cool while you drive along. While it doesn’t come with those extra cushioning features for your lower back, it’s best for those who want to evenly distribute their body weight over the cushion in warmer regions. As far as our experience goes, the Lovehome Gel seat cushion is a good choice for those wanting to have a comfortable drive while maintaining their posture. The seat is completely flat with no shape changes at any point. The seat supports you all the way from the lower back to the thighs. The seat comes with a number of features, such as the gel layer on the top which is covered with a Lycra Neoprene based material and is water and microbe resistant to boot. Then, the seat comes with a polyurethane foam on the bottom region, which makes it a joy to sit on for longer durations. Finally, the seat comes with rubberised slip proof coating, which makes it stay in place on your car seat. Reviews have been very positive, almost overwhelmingly so. Long term patients of sciatica, leg pain, and lower back aches have reported drastic improvements in their health over time when they used this product, hence we recommend it very strongly. A no nonsense, sensible, and well appointed seat cushion. 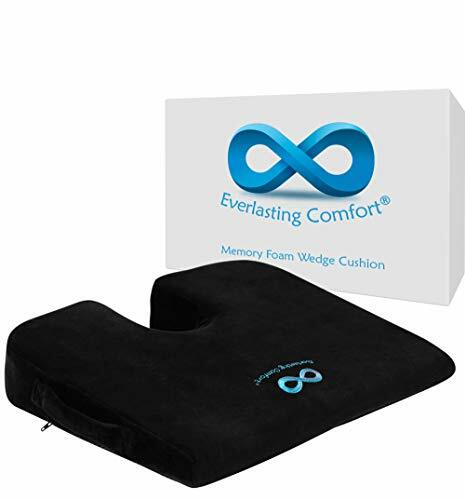 With many users saying the cushion makes their pain reduce drastically or even disappear, it is hard not to recommend this. A wonderful seating material choice both inside and outside make it a competitor to have on your shopping list. 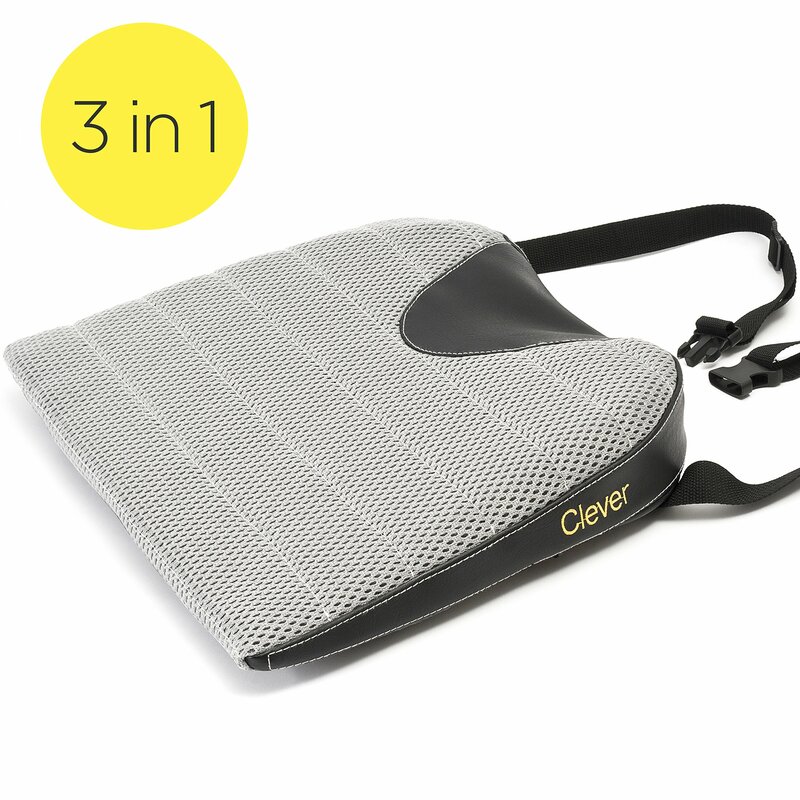 Clever Yellow have taken the clever route through the seat cushion designing process, and instead of the regular flat design, have gone for a wedge shaped design. 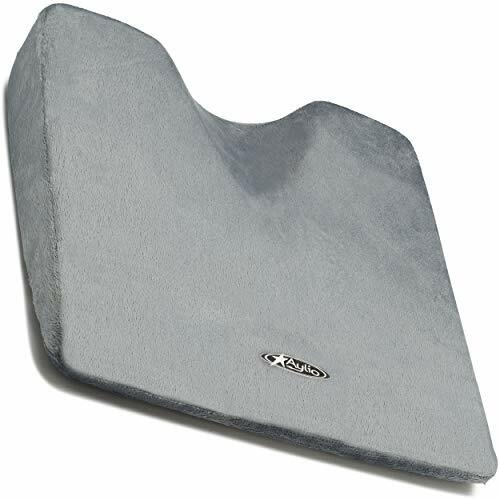 This wedge is said to improve the posture of those suffering from backache, and includes a three layer memory foam based design. The Clever Yellow’s wedge shaped design isn’t just a gimmick for the sake of aesthetics. It was rigorously tested and the results do show – the seat is incredibly useful for getting rid of sciatica and arthritis related back pains. 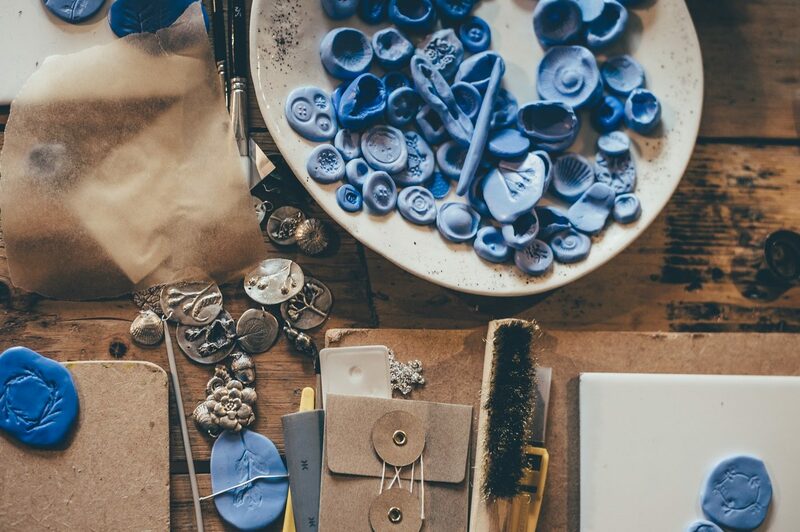 The seat is made up of three layers, including a dense memory foam and an internal foam core. The Clever Yellow comes with a number of other distinctive features, but the most important and talked-about is the strap. The Clever Yellow comes with a strap which is holds the cushion at just the right point – not too high, nor too low. This strap can just as easily be attached to an office chair or a study table if you wish to take it out of the car. The incline on the cushion tilts the pelvis slightly, since the slope on the wedge is not as sharp as it looks. The cushion does not become flat with time as most foam and memory foam based cushions do. The cover is machine washable and is made up of a mesh based material, which makes it much cooler in hot summers than traditional cloth-based covers. A solid contender in this space. The Clever Yellow comes with a number of things going for it – the unique wedge shaped design of the cushion, the easy to use and mesh-designed cover, and the lowered tailbone positioning. All the features, including the easy-to-use strap, make it a wonderful companion for all your long drives. 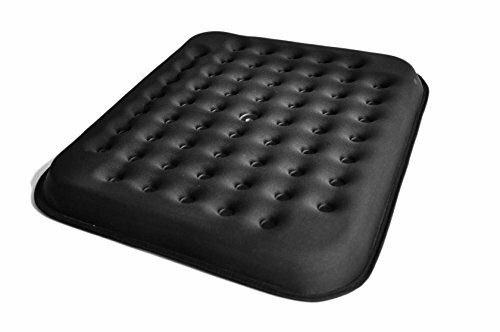 The Comformax Gel cushion is another winner from Comformax, which are renowned in the seat cushion space. This cushion is very different from the rest, in that you get not one, but two separate cushions for the back as well as under the thigh. These are fully adjustable, hence make for nearly the best car seat comfort you can find on the market. 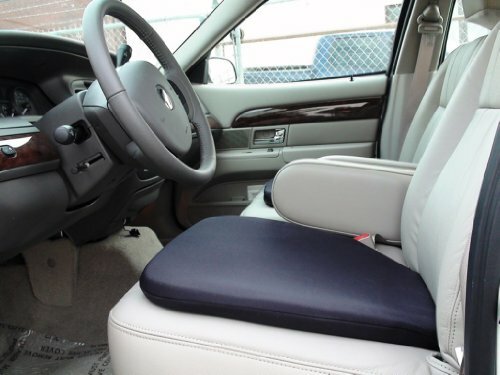 The Comformax is one of the truly unique offerings among seat cushions – first, it comes with a gel based material for the seat inside, and come with meshes instead of regular seat covers. These meshes have air gaps in them, which means there is much more airflow between the cushion and your back and legs – this helps with the amount of sweat you produce while sitting. Further, the seats come with straps which are easy to attach to the underseat area and the back, and can be adjusted by you to maximise your driving comfort. The gel adds a whole different dimension to the driving experience, since it doesn’t get too warm even if you drive around for hours at a stretch. The seats are perfect for those who have back issues or disc related health problems. The support extends from the neck right up to the thigh, and this makes the Comformax Gel one of the most comprehensive seat cushioning products on the market. The only niggle that we see is it’s possible many buyers don’t like having a cushioning at the back as well as above the seat. Simply put, the Comformax Gel is one of the most comprehensively comfortable products on the market. The extension of the support from the neck region to the thigh region is such that it has gotten perfect reviews from hundreds of happy users. We wouldn’t be surprised if this is the one you end up selecting, just for the dual comfort! The Everlasting Comfort comes with a number of defining features which set it apart from the crowd. They start from the wonderful memory foam, and continue on to the shape of the seat which completely matches with your body shape and accommodates for your tailbone. Also, those who are short will appreciate the thickness of the seat. One of the most common complaints with the memory foams one sees on seats is that they tend to depress right into the surface. Sometimes it gets as bad as there being no seat underneath at all! We are happy to report however, that the Everlasting Comfort lives up to its name. 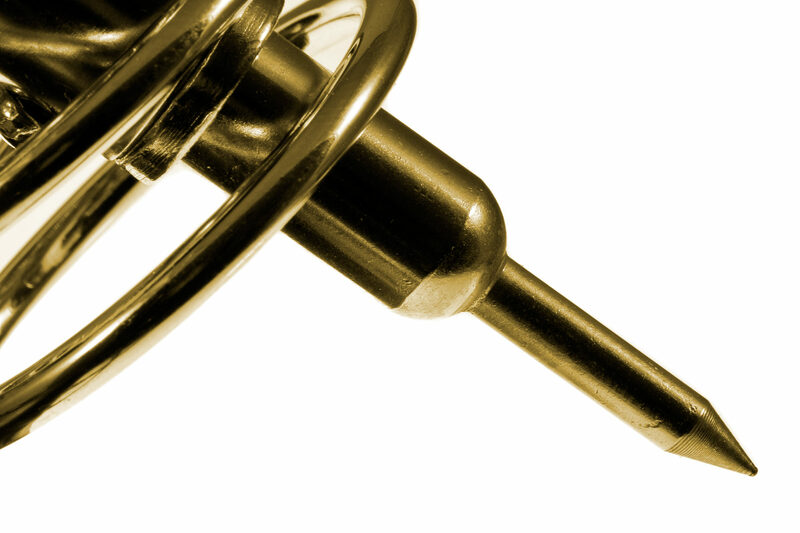 The memory foam stands the test of time and retains its shape very solidly. For those of you who have demanding jobs which make you stay in the car for longer durations, you’ll be delighted to know that this seat comes with a removable, washable cover. Perfect to get those pesky bread crumbs out! The seat shape also elevates your coccyx from being the sole pressure point of your body and moves the pressure to your buttocks. The thickness of the seat and its other health benefits mean that those suffering from leg numbness or disc related ailments get the most out of this seat. Aside from the thickness being too much for those preferring a thinner foam, this seat cushion gives strong competition to the other contenders. This seat is one of the thickest, and comes with a “real” memory foam, so to speak. The seat also comes with a unique design which shifts a lot of weight away from your tailbone, making your back that much more comfortable along with your spine. The thickness of the seat makes it that much more comfortable, but might be a little too much for some. For those looking having issues with back pain, including herniated disc and sciatica, you need to look no further than the Aylio Coccyx. Featuring a specially designed cutout for your tailbone, it has been said to be helpful in improving your posture. Further, it comes with an even weight distribution so your back doesn’t bear the brunt of driving stress. For those suffering with lower back issues, this seat cushion is a lifesaver. It has been effective in removing pain occuring due to sciatica and the piriformis syndrome which only medicine as strong as cortisone injections could alleviate. This seat especially helps to take pressure off of your spine, the lower back, as well as tailbone and hips. The design of the seat is such that your tailbone sits some distance above the actual seat. This helps in taking away all of the pressure of sudden bumps, jerks, and unevenness of the road surface. Further, the foam is high density, and fits your buttocks very well. The cover of the seat is made of velour and can be washed with your laundry easily. 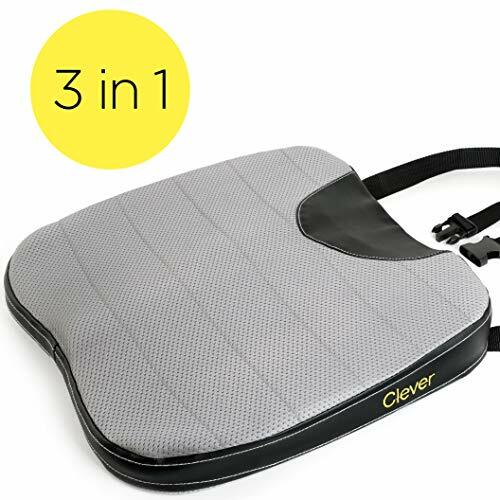 This product comes highly recommended from hundreds of people, and has been rated as the best seat cushion on the market by a large number of reviewers. Hence, whether you’re suffering from age related issues or from work related back issues, this seat can easily help remedy the pain and make sure it doesn’t recur. 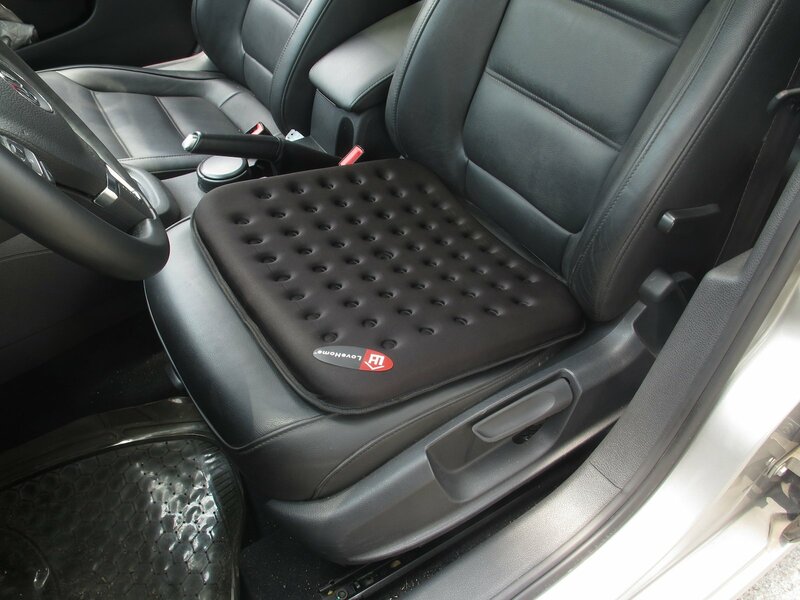 A well designed, practical, and useful car cushion which can become a lifesaver for people with back issues, over time. This cushion comes with just the right amount of softness and rigidity for you to have a trouble free driving experience, yet not notice it all that often. A strong contender among the best back cushions on the market. It goes without saying that one should not put his back at risk during long drives, a three hour long drive can rapidly become a stressful thought if one does not take action and naturally, a stressful idea can influence your decisions. Would you postpone or cancel an awesome road-trip due to back-pain? If this has ever crossed your mind at any given point in time, take action, solve the problem through one of the best car seat cushions for long drives right now!